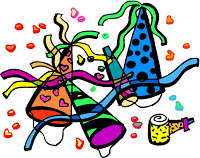 It's the end of the year! My favorite part of year end festivities is all the best of lists. And of course, as a librarian and a reader, I have to make my own! I couldn't pick just a top ten, so I decided to include different categories and include a long list of what my top picks area. This are my personal favorites, books I've enjoyed for various reasons throughout the year, and what I felt were my personal top books of 2014. Also, it's hard to put them in a list order of what is number one, so I just did them alphabetically-I am a librarian after all! I'd love to hear more suggestions if you have favorites too. My TBR pile is never too long! Ha! The Baby Tree by Sophie Blackall-Seriously, I adore anything she illustrates, and this book is perfection when it comes to talking about babies with kids. Bedtime at the Nuthouse by Eric Litwin-Once I read this one aloud in storytime, I was sold! The Boy and a Jaguar by Alan Rabinowitz, illustrated by Catia Chien-This is a beautiful, sensitive story about a boy who stutters and how he finds his calling with animals. It's just fantastic! Brother Hugo and the Bear by Katy Beebe, illustrated by S.D. Schindler-I love how the illustrations match the story and time period-so detailed and beautiful! Buddy and the Bunnies In: Don't Play With Your Food by Bob Shea-Pure Shea silliness and hilarity. I crack up every time I read it! The Farmer and the Clown by Marla Frazee-This is the book from 2014 that made me sigh with happiness and hug it when I was finished. Flashlight by Lizi Boyd-The art is spectacular in the use of light and dark. Have You Seen My Dragon by Steve Light-It's part seek and find, part counting book, and all fun in the use of subtle colors and masterful ink illustrations. Henny by Elizabeth Rose Stanton-A chicken with arms? It's just my kind of quirk! Hooray for Hat! by Brian Won-Retro style illustrations, friendship, and animals! Josephine: The Dazzling Life of Josephine Baker by Patricia Hruby Powell, illustrated by Christian Robinson-So jazzy and stylish and intriguing! Kid Sheriff and the Terrible Toads by Bob Shea, illustrated by Lane Smith-Another hilarious tale from Bob Shea that again had my laughing out loud. Little Elliot, Big City by Mike Curato-A little elephant, cupcakes, and beautifully adorable illustrations. Another one I hugged after reading. The Right Word: Roget and his Thesaurus by Jen Bryant, illustrated by Melissa Sweet-I never knew I would be so fascinated with a biography! And the use of various textures and words in the illustrations is fantastic. Viva Frida by Yuyi Morales-I'm a sucker for unique illustrations and I love photographs and this book has a stunning use of both. 100 Sideways Miles by Andrew Smith-OK, yeah Smith's other book, Grasshopper Jungle, is on many year end best of lists, but for me 100 Sideways Miles was perfection. Great characters, lots of heart (in an honest and real way and not sappy), and great exploration of relationships. 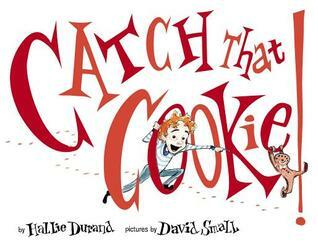 I also like examples of fantastic writing in parent/child relationships and this book has that. Brown Girl Dreaming by Jacqueline Woodson-Verse at its finest. This book will win everything this year. Just read it now and bask in the glory of beautiful writing. The Crossover by Kwame Alexander-Another fantastic example of a novel in verse, I especially love the use of various forms of poetry to express everything-from the characters feelings to a game of basketball. Dory Fantasmagory by Abby Hanlon-Quirky child with an overactive imagination? How can I resist! I was cracking up the entire time I read it. El Deafo by CeCe Bell-This book had me laughing so much. It was like talking to a childhood best friend at a sleepover. So honest and funny and a great graphic novel. Glory O'Brien's History of the Future by A. S. King-A.S. King gets better with each book she writes and Glory is a character that everyone should be introduced to. Let's Get Lost by Adi Alsaid- This book just came at the right time and pulled me out of a slump. 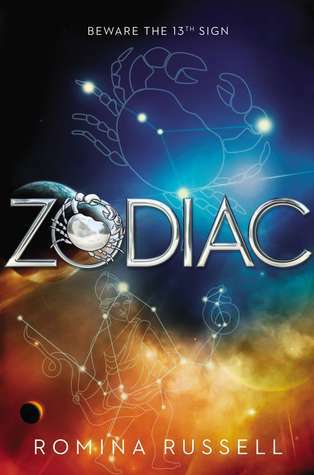 I loved the interconnecting stories and the characters and it had the right combination of humor, heart, and just a bit of sap and romance. The Luck Uglies by Paul Durham-Fantasy and adventure that kept me up way to late reading when I should have been sleeping. To All the Boys I've Loved Before by Jenny Han-Pitch-perfect family dynamics and a main character who likes to stay at home and knit! A great romance that has so much more. The Shadow Hero by Gene Luen Yang & Sonny Liew-The perfect mix of superhero origin story, humor, and adventure, I was captivated. A Snicker of Magic by Natalie -Spunky characters, Southern charm, and a splindiddly turn of words and phrases. I want to live in Midnight Gulch. We Should Hang Out Sometime: Embarrassingly, A True Story by Josh Sundquist-A hilarious true story of a young man's search for love. So awkward and funny and perfectly relatable. I was laughing the whole time. The Winner's Curse by Marie Rutkoski-A strong female character, intrigue and deadly games. It's the start to a series where I want to keep reading the future volumes. The Young Elites by Marie Lu-Drama, secret organizations, powers, and politics. This was a fast paced adventure and I got lost in the story. 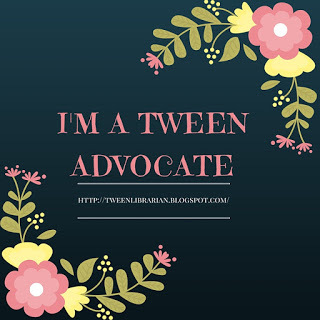 The Storied Life of A. J. Fikry by Gabrielle Zevin-I love Zevin's YA novels, so it was no surprise I adored her adult fiction title about a curmudgeony bookseller who receives an unexpected package. Anyone who loves books should read this one. Today I'm over at the ALSC blog talking about some of the activities and programs we provide for our patrons during our storytime breaks. I discover so much music thanks to Spotify, Pandora, and Songza, especially now that I listen to kid playlists with my son. When I was home on maternity leave earlier this year I listened to lots of various playlists and I discovered what I think is the best version of No More Monkeys ever! 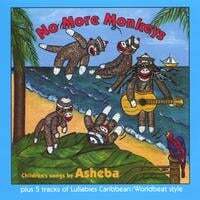 You can find Asheba's Carribbean jam on either his No More Monkeys CD or on Animal Playground by Putumayo Kids. I was lucky enough to have Animal Playground in my library, so I immediately added it to my storytime repertoire. Take a listen-but be warned-you might just want to jump out of your seat and dance!